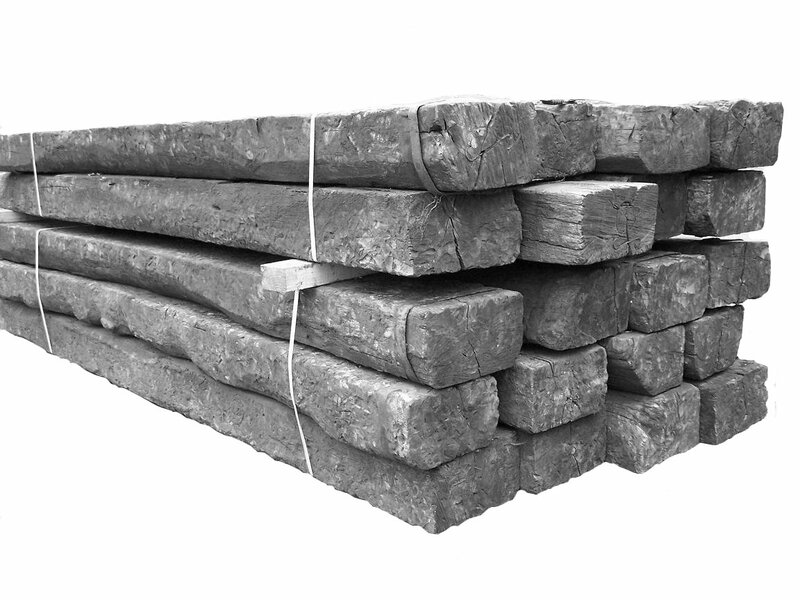 These creosote treated English reclaimed railway sleepers are used for various projects such as garden steps, silage pits and aggregate bays, path and garden edging, etc. Railway sleepers are ideal for retaining walls when used with (152 x 152 UC) 6" I-beams. 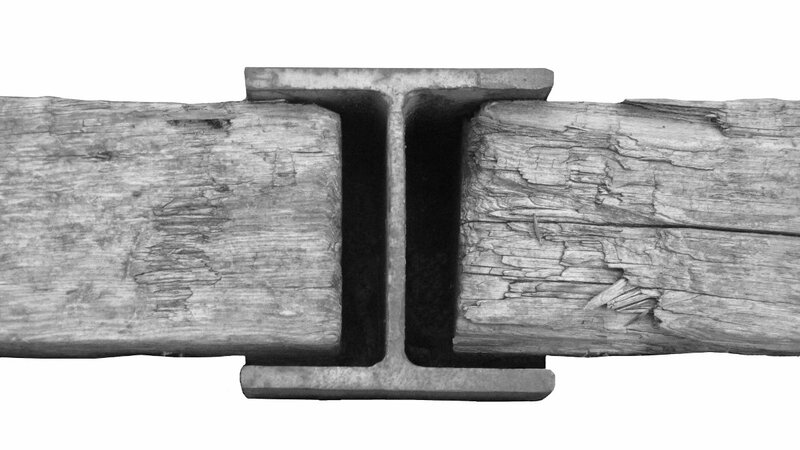 The 5" x 10" section slots into the I-beam and the 8'6" lengths can speedily produce a substantial and immensly strong wall. 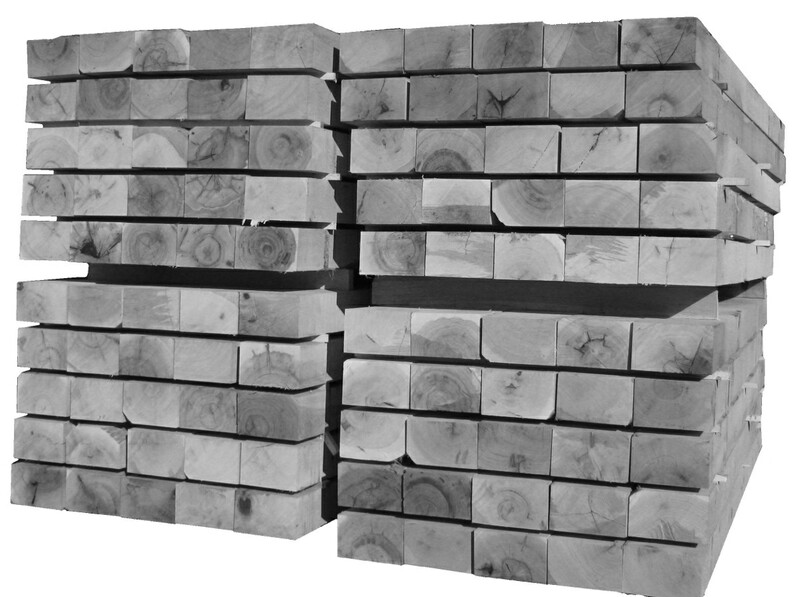 New softwood tanalised sleepers measure 9" x 5" by 8' in length and are more regularly shaped than reclaimed sleepers. They can be used where creosote and tar might be an issue, for example water features, children's play areas, etc. 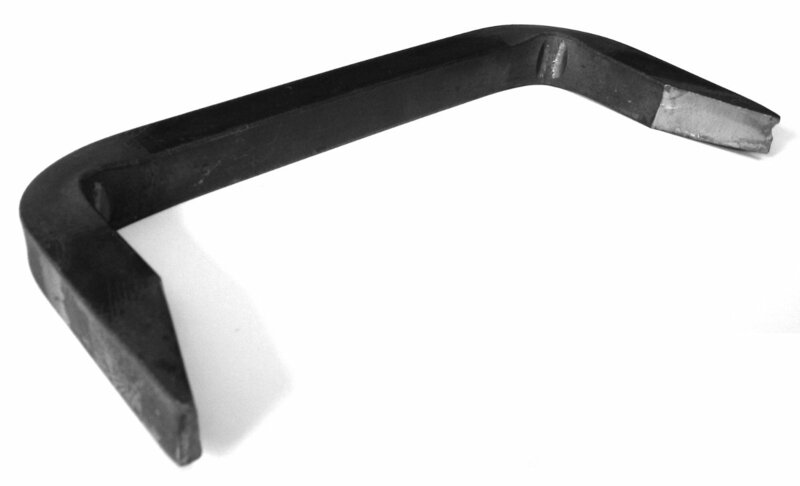 Used for jointing together railway sleepers. Generally 16mm square x 200mm x 90mm.